Mumbai is one of the best tourist destinations in India. It is a glamour filled city well-equipped with the allures of modernization along with housing some highly significant monumental structures from by-gone eras as well as the bewitching beauty of Mother Nature. Book your Delhi to Mumbai flights, Kolkata to Mumbai flights, etc. and get going to the city for a fun vacation. The undeniable business capital of India, Mumbai has been a highly celebrated city not just in the country but also in the entire world. It is the capital of Maharashtra and home to all major governmental and judicial bodies. It is also a rich, vibrant, multicultural, and a large city on the Konkan coastline in western India. On one hand, it is the home of ritzy and glamorous Bollywood and on the other it has one of the world’s largest slums called Dharavi. As much as the expanse of the concrete structures today grows in the region, there is an equal growth in the area covered by slums. Lured by its glamour, wealth, and prospects of the place being home to fruitful opportunities thousands of people from interior parts of India migrate to the city. As a result Mumbai is a crowded, maddening, bustling city. However, there is a method to the madness and everything else, which makes the city a must-see. Being the largest city in the country, there is a mass of excellent sightseeing spots spread all over the place. Plus, in addition to tourist attractions within the city’s boundary there are a couple of attractions situated at a distance of a day excursion. Adlabs Imagicais one such popular tourist attraction. It is just a few hour drives from the city on the road linking Pune and Mumbai. 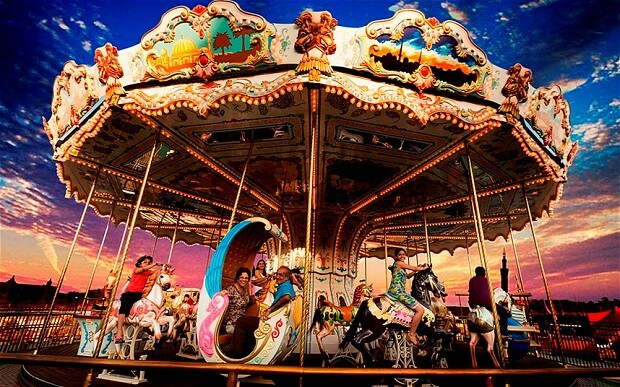 It is one of the largest amusement parks in India and has state of art and most thrilling rides. If you want to spend a day full of fun, rejuvenation while enjoying shopping and sumptuous food this is the place you must visit. Initially, it was an accumulation of seven small islands that were combined during the era of British India. Britishers popularized the place as Bombay State and till 1995 it was recognized as Bombay. The current name is believed to be the distortion of “Mumba” deriving from Mumba Devi, a local deity, and “Aai” signifying mother. The city’s culture is identified by its people who brought different cultures from different parts of India when they moved to the city. 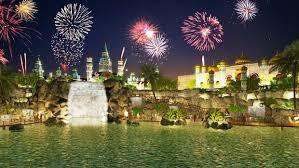 It is very cosmopolitan in nature, and is filled with religion, dance, music, food, festivals, art, and theater. Besides, Mumbai is also known for its highly active nightlife. It is a place where darkness never occurs and night is just the beginning of hours filled with fun. While in the city take a walk through its historical legacy, the place is filled with numerous remnants of medieval and colonial era. When done, chill by the Arabian Sea on the most popular beaches while munching delectable street food that is famous nationwide. Also, discover the legendary arts and culture of the place in its festivals, religious places, libraries, and art and cultural centres. Finally, if you are still left with leisure time escape away to the quaint hill stations located a few kilometers away from the city and take refuge in the lap of Mother Nature.Mumbai is one of the best tourist destinations in India. It is a glamour filled city well-equipped with the allures of modernization along with housing some highly significant monumental structures from by-gone eras as well as the bewitching beauty of Mother Nature. Book your Delhi to Mumbai flights, Kolkata to Mumbai flights, etc. and get going to the city for a fun vacation. India. On one hand, it is the home of ritzy and glamorous Bollywood and on the other it has one of the world’s largest slums called Dharavi. As much as the expanse of the concrete structures today grows in the region, there is an equal growth in the area covered by slums. Lured by its glamour, wealth, and prospects of the place being home to fruitful opportunities thousands of people from interior parts of India migrate to the city. As a result Mumbai is a crowded, maddening, bustling city. However, there is a method to the madness and everything else, which makes the city a must-see. Being the largest city in the country, there is a mass of excellent sightseeing spots spread all over the place. Plus, in addition to tourist attractions within the city’s boundary there are a couple of attractions situated at a distance of a day excursion. 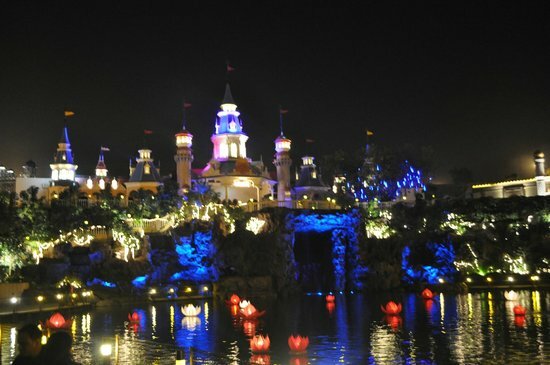 Adlabs Imagica is one such popular tourist attraction. It is just a few hour drives from the city on the road linking Pune and Mumbai. It is one of the largest amusement parks in India and has state of art and most thrilling rides. If you want to spend a day full of fun, rejuvenation while enjoying shopping and sumptuous food this is the place you must visit. While in the city take a walk through its historical legacy, the place is filled with numerous remnants of medieval and colonial era. When done, chill by the Arabian Sea on the most popular beaches while munching delectable street food that is famous nationwide. Also, discover the legendary arts and culture of the place in its festivals, religious places, libraries, and art and cultural centres. Finally, if you are still left with leisure time escape away to the quaint hill stations located a few kilometers away from the city and take refuge in the lap of Mother Nature. It is best to visit the city post-monsoon when the weather is most pleasant. The place is quite easy to access. There are frequent flights to and from Mumbai airport with Delhi to Mumbai flights being the most preferred modes to get into the place. It is best to visit the city post-monsoon when the weather is most pleasant. The place is quite easy to access. There are frequent flights to and from Mumbai airport with Delhi to Mumbai flightsbeing the most preferred modes to get into the place.